In my preparation for the 2014 World Quizzing championships,I set myself the task of trying to remember the answers to all of my questions that I have written for this site (plus a few more). There were around 8,000 questions and I think I can remember them all. Some were very easy,some were hard and 10 questions would not stick in my head,no matter how hard I tried. Let's hope none of them come up, although I'm sure when the quiz begins,I will forget everything and finish in my customary 352nd place. 1. (Pictured) Which 19th century English chemist gave his name to the hypothesis that the hydrogen atom was the only truly fundamental object, (which he called protyle)? 2. (Pictured) Which 18th/19th century French mathematician and physicist ,gave his name to the law of heat conduction? 3. (Pictured) He has given his name to a series of annual lectures by the American Society of International Law since 1999.What was the name of the early 17th century jurist in the Dutch Republic,who,along with Francisco de Vitoria and Alberico Gentili,laid the foundations for international law,based on natural law? 4. (Pictured) The ideal gas law,is a combination of Charles' law and Boyle's law. In its common form,it is written under the equation PV= nRT.Which French engineer,physicist and co-founder of thermodynamics,first stated this idea in 1834? 5.In the Shona dialect,it means 'the early rain which washes away the chaff before the spring rains'. Lasting between 1980 and 1987,when Robert Mugabe was first made President,what name was given to the brutal suppression of Zimbabwean civilians, mostly supporters of Joshua Nkomo, by Zimbabwe's 5th Brigade? 6.Most widespread in West Africa,it is,however,spoken across Africa.It comes from an ethnic group,primarily from Niger and Nigeria,which has its trade and cultural centre at Kano.With around 34 million Africans using it as their first language,what is the most spoken of the Chadic languages? 7. (Pictured) His occupation was as a diplomat,but he was also an opera singer,composer and music theorist.He is also well known for being a close friend of George Frideric Handel, although he nearly killed him in a sudden quarrel, during a performance of (this man's opera) 'Cleopatra in 1704'. What is the name of this man? 8. (Pictured) Located at the far north eastern corner of Anatolia, it was the longest surviving of the three Byzantine Greek successor states of the Byzantine Empire.The rulers were known as 'Megas Komnenos' (Great Comnenus) and saw Alexios I Megas Komnenos as its first ruler in 1204 and David Megas Komnenos,its last,in 1461. What is the name of this Empire,which also became the the western terminus of the Silk Road,following the destruction of Baghdad by Hulagu Khan in 1258? 9. (One of his paintings 'The Little Gardener' pictured) He began studying medicine in 1859, and moved to Paris in 1862 to continue his studies. There he met Pierre-Auguste Renoir and Alfred Sisley and was heavily inspired by Impressionist painting.His best known works include 'The Pink Dress' (pictured),'Scene d'ete' and 'Le Petit Jardinier' .What is the name of this French painter,whose life was sadly cut short,in 1870,when he was killed in the Battle of Beaune-la-Rolande,during the Franco-Prussina War? 10. 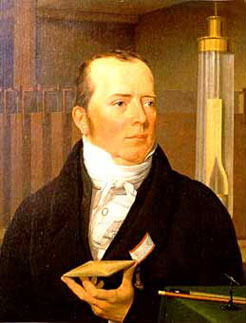 (Pictured) A Danish physicist and chemist,he discovered,in 1820,that electric currents create magnetic fields. He is also noted as the first person to use the term 'thought experiment'.Who is this physicist,that also has a cgs unit of magnetic H-field strength,named after him?